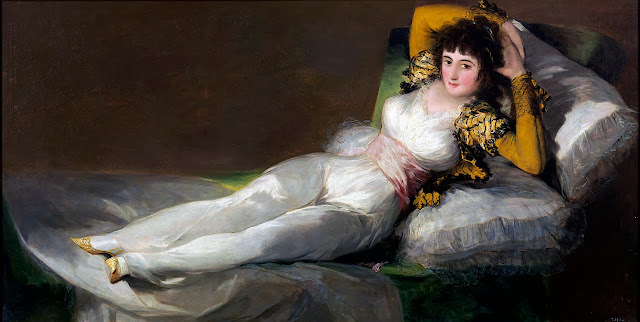 Infinite Art Tournament: The Infinite Art Tournament, Round Two: Goya v. El Greco! 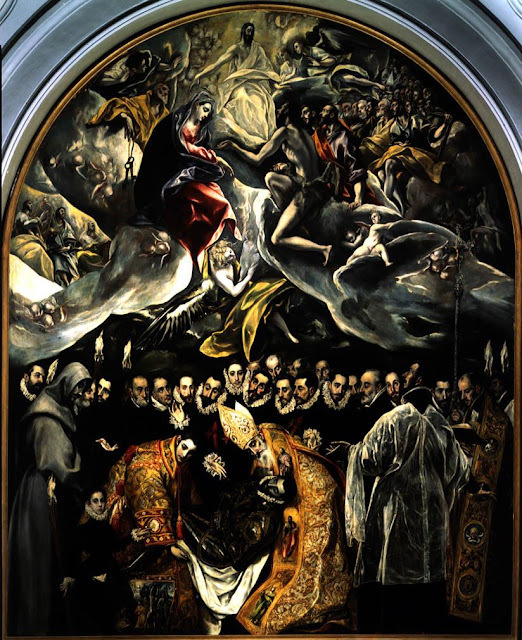 The Infinite Art Tournament, Round Two: Goya v. El Greco! Phase 2, Flight 1 of the Play-In Tournament closes October 25! Two of the three big artists from my high school Spanish class go head to head! I vote for Goya! 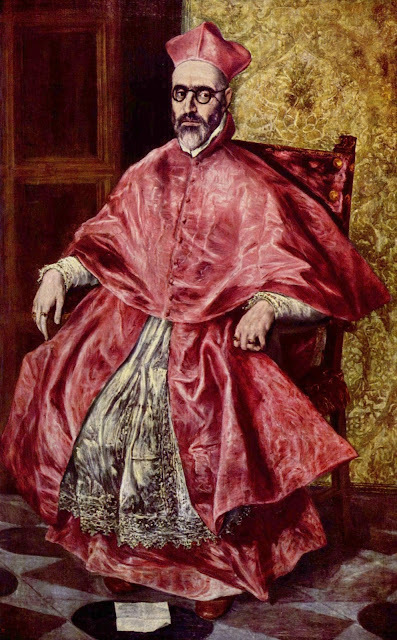 I feel like these selections trot out the best of El Greco, but only hint at Goya's many strong suits. I know there are rules, but wish I was looking at the 3rd of May, or other favorites. 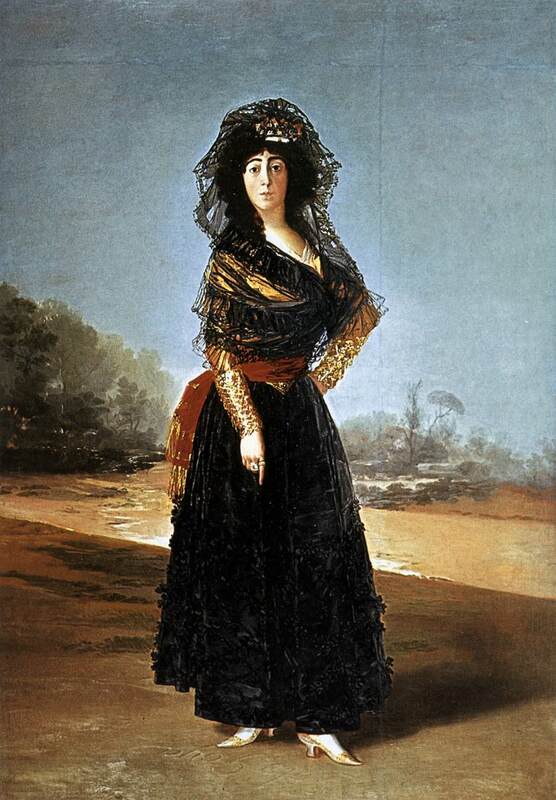 Goya all the way. I like his third one right there, "Village Cowers Before Giant Naked Angry Man!" Oh my, I don't know. What did mrs.5000 say? 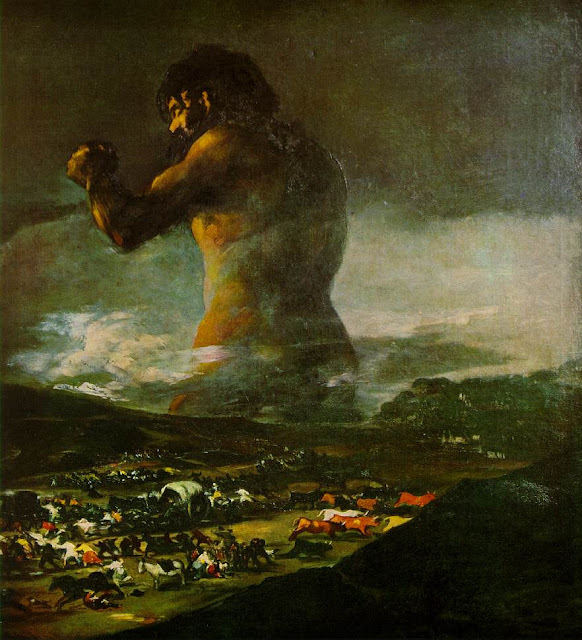 Goya? Ok--no wait! I'm won over by El Greco's "View of Toledo", which almost looks like a Cezanne, but nearly 400 years older. 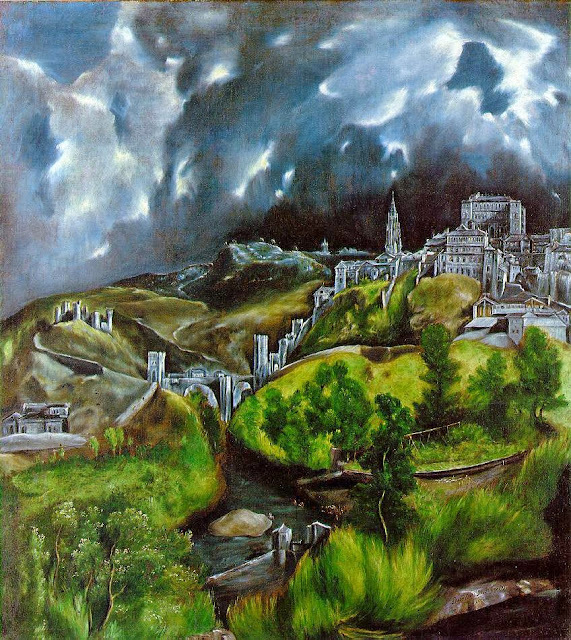 El Greco for me, on the strength of that first landscape. Both of these guys seem quite dark in all ways, and I struggle a little to like 'em. A vote over the email transom for Goya. Hmm. It wasn't as hard as I expected. It is my duty and honor to inform you that Goya and El Greco have been found to be locked in a 6-6 tie. Since there is no other match currently waiting for a tiebreaker in the Second Round, this branch of the brackets will be put on hold for the time being!